The 2019 Juno Award pop album of the year finalist recommends this bestselling 2013 nonfiction book by the Canadian astronaut and icon. It's Juno Awards time again! The annual celebration of outstanding achievements in Canadian music airs live from London, Ont., on Sunday, March 17, 2019 on CBC Television, CBC Radio and CBCMusic.ca/junos. CBC Books asked some of the 2019 nominees to share their favourite books. Platinum-selling singer-songwriter Tyler Shaw is up for a Juno Award in the pop music of the year category for sophomore album Intuition. 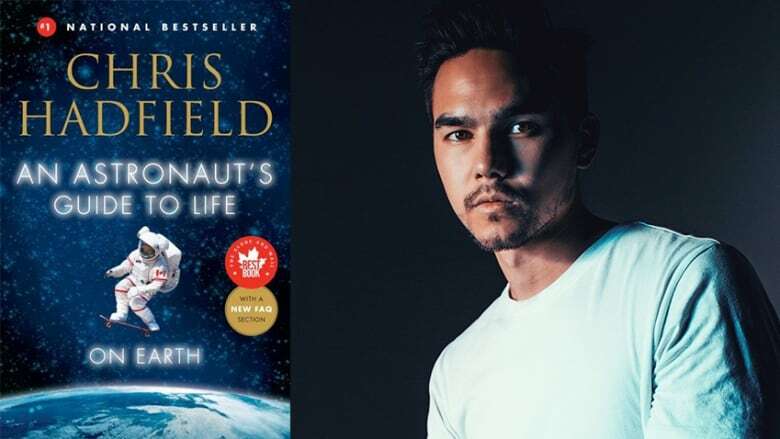 One of the B.C.-born pop star's favourite books is An Astronaut's Guide to Life on Earth by Chris Hadfield. "This autobiography is from a Canadian hero who perhaps, at a subconscious level, indirectly inspired some of the lyrics in my current single With You. "Chris Hadfield's nonfiction is an introspective, deep dive into a world that exists far beyond our planet. This is the real-life story of an astronaut who has spent much of his life training on Earth, preparing to leave it." "In this book, Chris Hadfield navigates the reader through a series of real-life dilemmas from his experience in outer space and spectacularly overcomes these challenges using his fundamental experiences from planet Earth. The harrowing accounts of Hadfield serve as fascinating short stories, but also antidotes for real-life trials and cleverly highlight the self realization of what humans are truly capable of. From the extensive training he underwent to the missions he embarked on, the idea of optimism and meticulous execution is challenged by the notion of being prepared for multiple outcomes and adjusting your strategy for the result you desire. "I found many parallels between Hadfield's mission and my own career, in which we both modify and adapt to our situations in order to move forward. Musicians and scientists alike are testing theories and defying barriers in their respective fields, but only the final outcome is credited or critiqued — rarely is the journey. "The healthy balance of wit and honesty throughout the book make this an enjoyable read for all. I was fortunate enough to have met Chris Hadfield years ago, backstage at a We Day event and have him sign a copy just for me. "He is a true hero to me and I would certainly recommend this book." Tyler Shaw's comments have been edited for length and clarity.